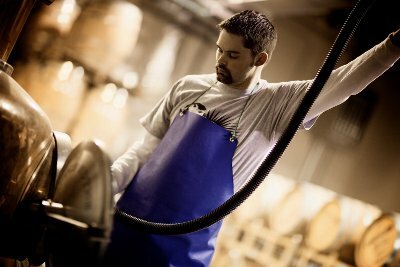 Tours: Learn about how our whisky is made, right here in Purcellville, Virginia! Tours occur on the hour, every day that we're open, and last about 30 minutes. Children are welcome to accompany an adult on the tour. Tasting Flights: Reserve your seat for a flight of our signature spirits, whisky, brandy, or cocktails. Tastings last about 30 minutes, and the tour another 30 minutes, for a total of about a one hour experience. No parties over 8 permitted on Saturday or Sunday. Large parties will only be permitted between Tuesday-Friday with prior telephone reservation. If you have an inquiry for private parties, please direct yourself to our private events page for more information. No outside food permitted at any time. We are pleased to offer locally made rye mash bagel chips upon request, thoughtfully prepared by Tarver King from The Restaurant at Patowmack Farm. Please be on time for your reservation. As a courtesy to others, we ask for your promptness. Allot yourself an hour with us; 30 minutes for tour, for 30 minutes for tasting. If you are more than a few minutes late, we reserve the right to give your reservation to another party. Dogs and kids permitted. Both must be well behaved. Visit the first family-owned distillery in Loudoun County since before Prohibition. Enjoy a flight of whisky, brandy or seasonal cocktails and tour through our distillery. We also have a nice selection of distillery-related merchandise like shirts, hats, flasks, and many, many books on cocktails, moonshine, and the history of booze. Catoctin Creek's distillery store is also your source for Langdon Wood Maple Syrup, Wildwood Hickory Syrup, Strong Tonic Syrups, and DC Embitterment Bitters. Reservations are recommended for all tours and tastings. Fine Print: Per Virginia law, consumers are limited to four 0.5 oz pours, and must be 21 years old or older.